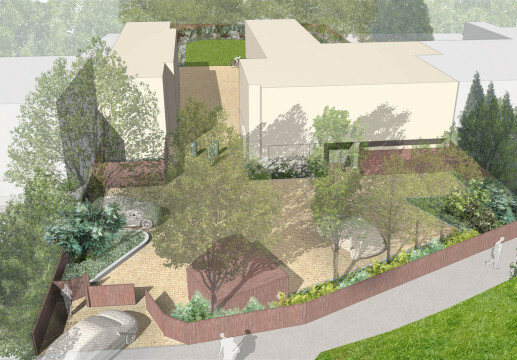 We were appointed as landscape architects by a developer client for this residential project in south London. We were tasked to develop a landscape design and then to provide our client with landscape architect’s information to submit to the Local Authority to satisfy planning conditions. The information submitted included a landscape general arrangement plan and a planting plan with schedules. This general arrangement plan identified materials, boundaries and areas of planting. Once the conditions were signed off by the Local Authority we appointed to produced full planting plans for tender and construction purposes. The existing site contained a number of listed building which were being refurbished, converted and extended. 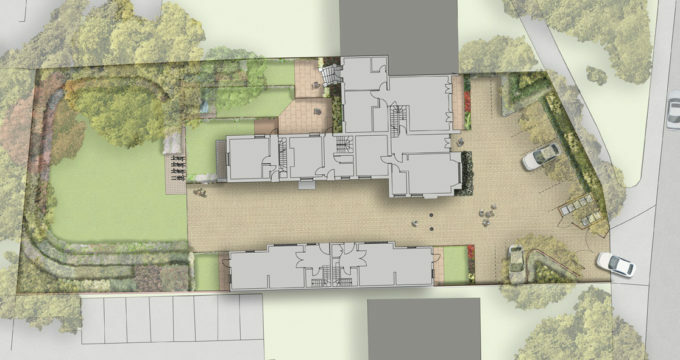 Within the space surrounding the buildings our landscape architects needed to accommodate car parking, a bin store, cycle storage, private gardens and shared amenity space. Careful consideration was given to the arrangement of these items withing the landscape design so as to maximise the usable space available. To the front and rear of the site numerous existing trees occupy land both within and outside of the site boundary. Our landscape architects proposal ensured most of these trees were retained. 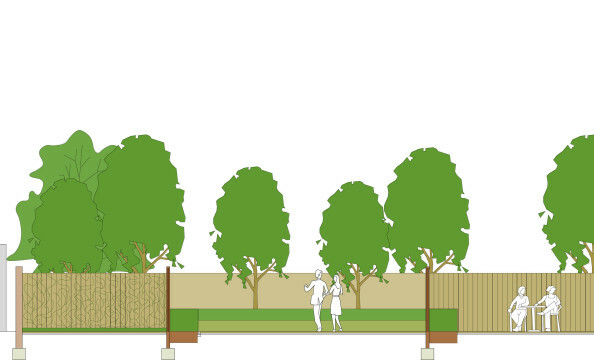 The root protection zones of the retained trees were carefully considered within our hard landscape design. This ensured any detrimental effect to these trees were minimise both during the construction phase and in the future. 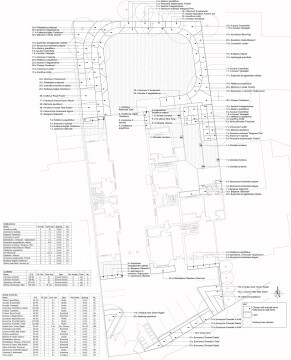 To the front of the site the tracking requirements of resident and delivery vehicles were carefully considered and incorporated into the landscape design for paving and car parking layout. Within this area Shared Space principals were adopted. This entire space was surfaced with a single paving material with no defined footway or carriageway. The planting species specified by our landscape architects were a mixture of native and non native species. This ensured that our client achieved the necessary number of BREEAM credits to achieve very good. In addition our landscape architect’s planting plan provided all year round interest as well as being of beneft to our native fauna.